The base trim LX isn’t short on features. Bluetooth connectivity, a rearview camera, and dual-zone climate control are all included. For upgraded performance, consider the Sport trim. It adds a 189 hp four-cylinder engine and 19” wheels designed to hug tight corners. Take the performance of the Sport edition and add premium features like heated seats, leather-trimmed seating, and red stitching. The EX builds off the LX with many convenient additions. Apple CarPlay and Android Auto enhance your smartphone connectivity, and that’s just the beginning. The Accord doesn’t stop at the EX trim level. If you opt for the EX-L, you’ll enjoy noticeable improvements to the Accord’s seating features. Power adjustment, leather trim, and memorized positions make long drives from Crystal Lake a breeze. On top of that, cold mornings have met their match with heated front seats. In the next level, the EX-L V6 offers a big performance upgrade. A 278 hp V6 engine is perfect for drivers who want the convenience of a family sedan with the speed of a performance vehicle, and the six-speed automatic transmission does it all with competitive efficiency numbers. At the top of the Accord lineup, the Touring trim keeps the performance upgrades of the EX-L V6 and adds even more high tech features. The Honda Sensing system of active safety features comes standard, and auto high beam LED headlights provide the optimal level of light the road requires. At Brilliance Honda of Crystal Lake, we think the best way to choose the perfect Accord trim level is to try them out for yourself. No matter which one you choose, this reliable sedan offers more horsepower throughout the model line than the Chevrolet Malibu. Before you arrive at our dealership at 680 W. Terra Cotta Ave. in Crystal Lake, be sure to apply for financing ahead of time. 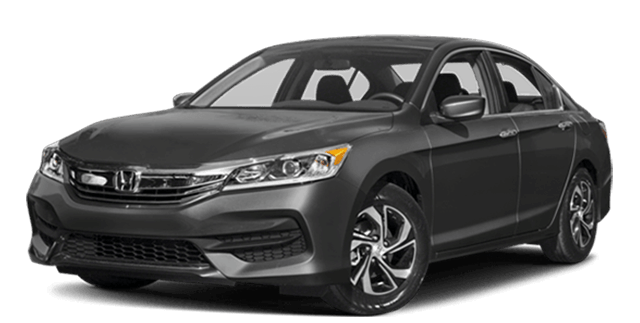 Schedule a test drive today to experience the Accord advantage!